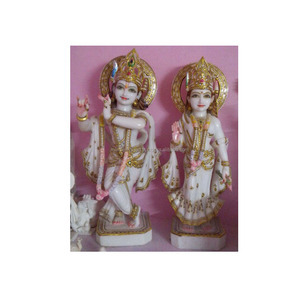 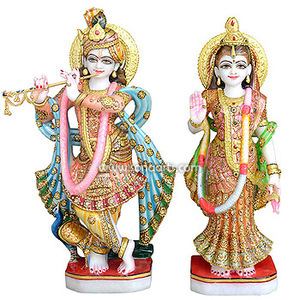 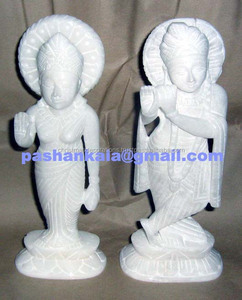 We are manufacture of white marble god statues, all indian god statue , hindu god statue. 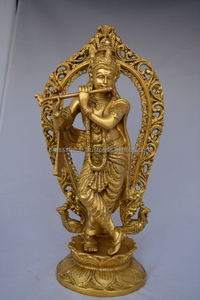 we decorate the crown and jewellery of god and goddesses statues by gold leaf. 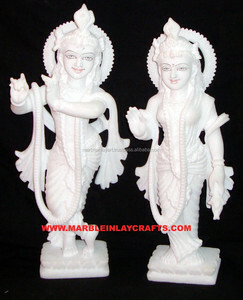 we make also any custom statues like Guru mata , guru maharaj , Sant statue , etc. 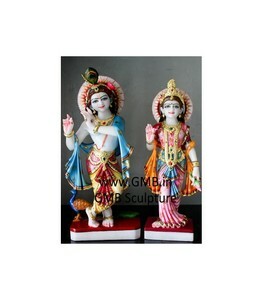 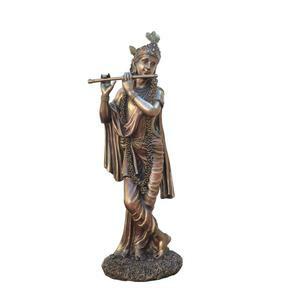 Beautiful Radha Krishna Pair Statue from Brass 29"